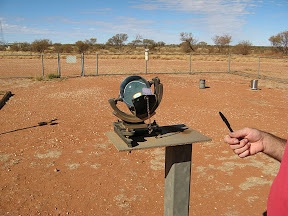 Giles Met Office was developed by Len Beadell in the 1950's to provide support to the Woomera Rocket Range. We visited Giles Met Office on our previous trip in 2007 but didn't get to see around the facility due to "computer problems". This time we were more lucky and in fact we were given a tour all by ourselves by "David" (no relation). It was quite fascinating. 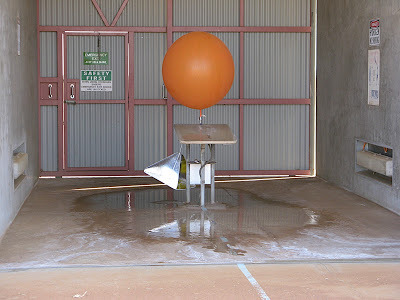 All over Australia at dozens of weather stations, weather balloons are released 3 times a day, at exactly the same time everywhere, to provide a national snapshot of the weather situation. It was hot but "David" still had to don protective clothing while filling the balloons with hydrogen, which is a risky and dangerous process. The entire building and gas filling area is sprayed with water during the inflation process to reduce the risk of static charges igniting the hydrogen. 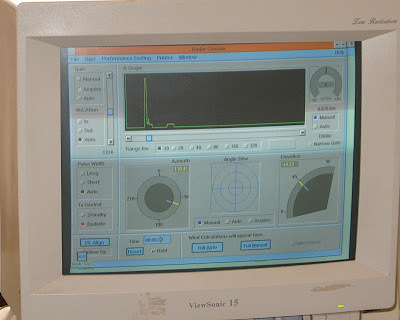 After release, the height, drift direction and speed of the balloon is tracked by radar and displayed on a computer screen. "David" took us inside and showed us all the equipment in operation. 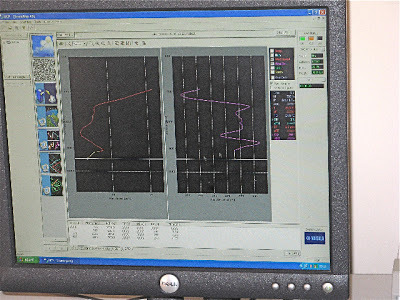 On the left is the wind speed profile vs height as the balloon ascends, and on the right is wind direction vs height. It was interesting how much the wind direction varies with height. 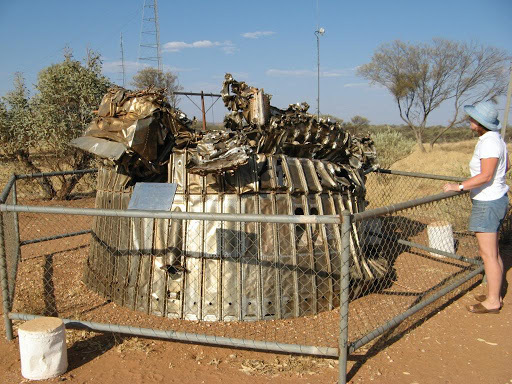 These are computed from the radar track returned from a passive reflector below the balloon. 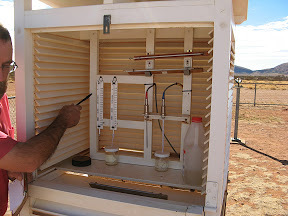 Active electronics packages (radiosonde equipments) are only used occasionally, since their weight requires a much larger balloon and can't ascend so far, but they can then acquire air temperature, air pressure and humidity data as well, and transmit this information to the ground station. 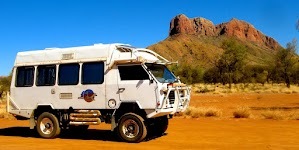 The base staff also collect other ground weather data, rain, temperature, humidity, sunlight etc, from electronics sensors, but all data is also corroborated by old fashioned mechanical devices as well. They don't fully trust technology yet. 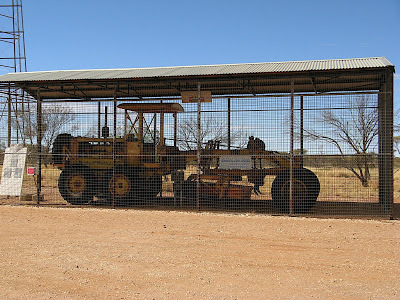 Apparently, the 4 staff at Giles rotate on a 6 monthly basis and I suggested that was good since they would get a remote area tax concession. "David" went sour at that point and said "to get the tax concession, you have to live remotely for 183 days in a year, and a 6 month secondment is only 180 days". End of tour. 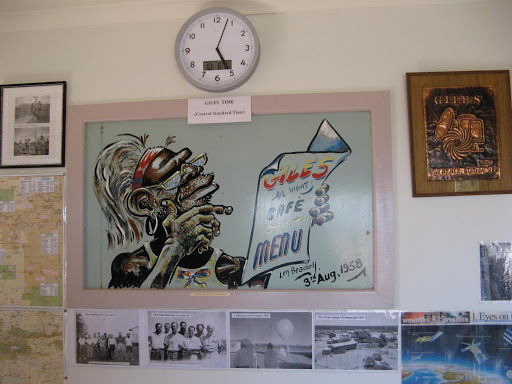 Although Giles is well inside Western Australia, it operates on Central Standard Time (Adelaide time), presumably because it was established as a branch of the Weapons Research Establishment (now DSTO) in SA in 1956 and the staff are still assigned there from the Adelaide BOM. More info on the Giles Met office can be seen here. 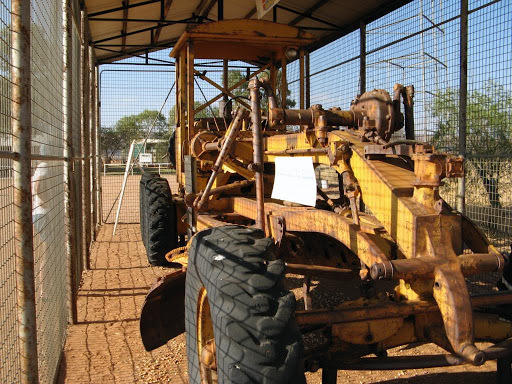 Giles was established in the 1950's by Len Beadell as part of the Woomera rocket range instrumentation system and much of his memorabilia still remains there, including his grader which built 6,000 kms of outback tracks and a collection of some of his original marker plaques. The originals have mostly been replaced by replicas to reduce theft and vandalism. 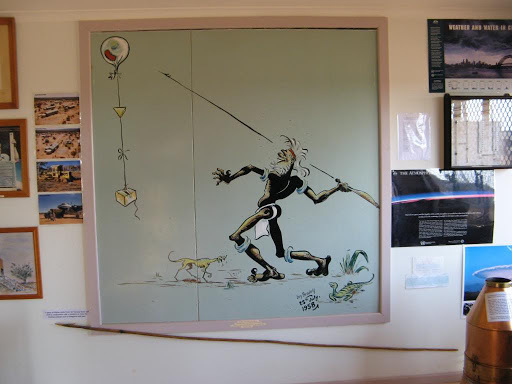 Some of Len Beadell's original artworks can still be seen in the visitor centre. 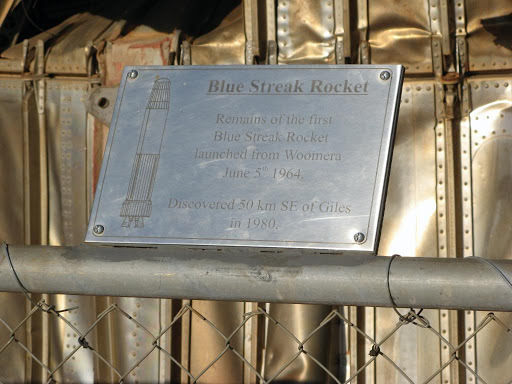 There are also the remains of a Blue Streak rocket which was fired from Woomera in 1964 but only discovered in 1980, 50 kms south east of Giles.